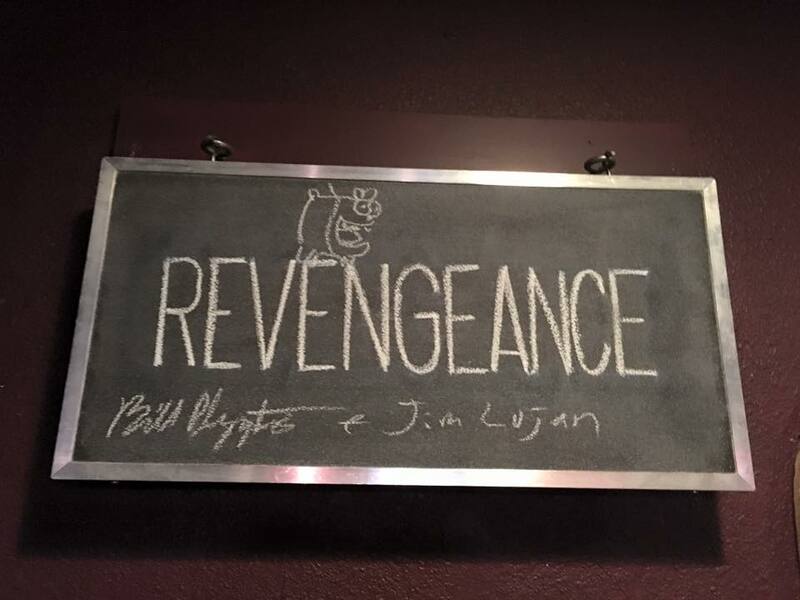 "Revengeance" - U.S. festival premiere in Portland, OR! 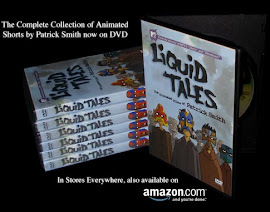 Hey, animation fans - and I know you cartoon fans are out there - do I have good news for you! My latest and greatest film is having its U.S. festival premiere this coming weekend at the prestigious Portland International Film Festival (Feb. 9-25). 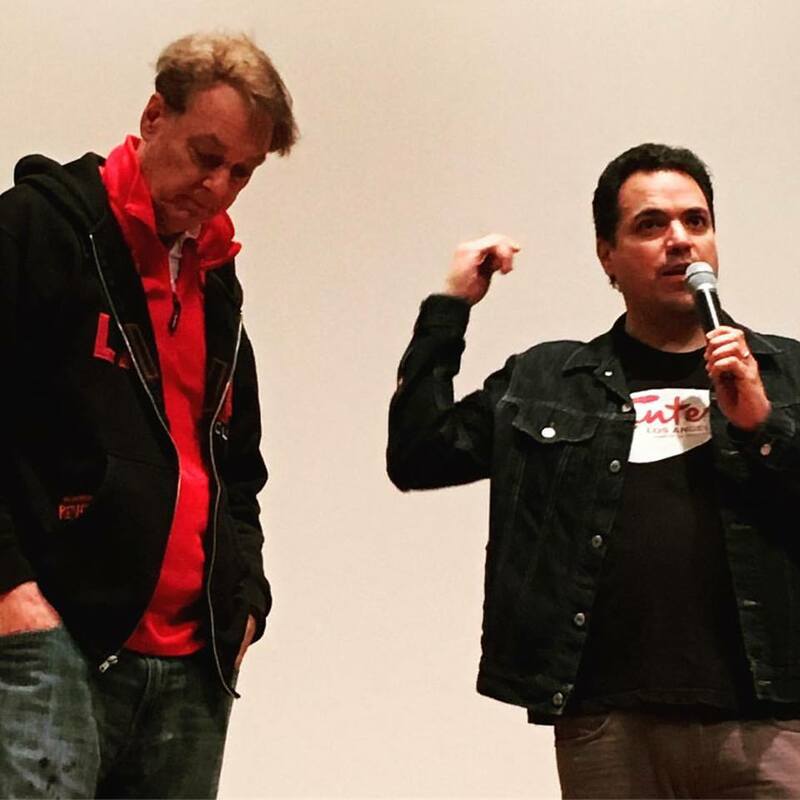 Also, as a great added surprise bonus, co-director Jim Lujan will be driving up from L.A. to help me introduce "Revengeance". Jim wrote the film and in fact is the main creative force behind this crazy political biker film. He also designed the characters and backgrounds, did the music and created aboutu 80% of all of the voices. I storyboarded and produced the film, co-directed and did all of the animation. So, if you or anyone you know lives in the Oregon-Washington area, I encourage you to attend, or at least help spread the word, to support one of the craziest underground films around. 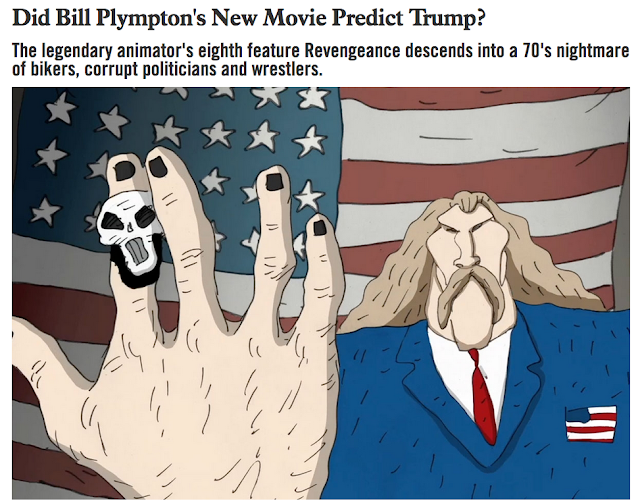 By the way, a number of reviewers are comparing the villain of this film, Senator Deathface, who was a TV star that turned into a corrupt politician, to a certain elected personality who is all over the news these days. However, Jim wrote the script about three years ago, so perhaps it's just the luck of history that these two characters are so similar. But please come out to the screenings and see for yourself! We hope to get a big crowd there, so I hope you can all come, and bring your friends! 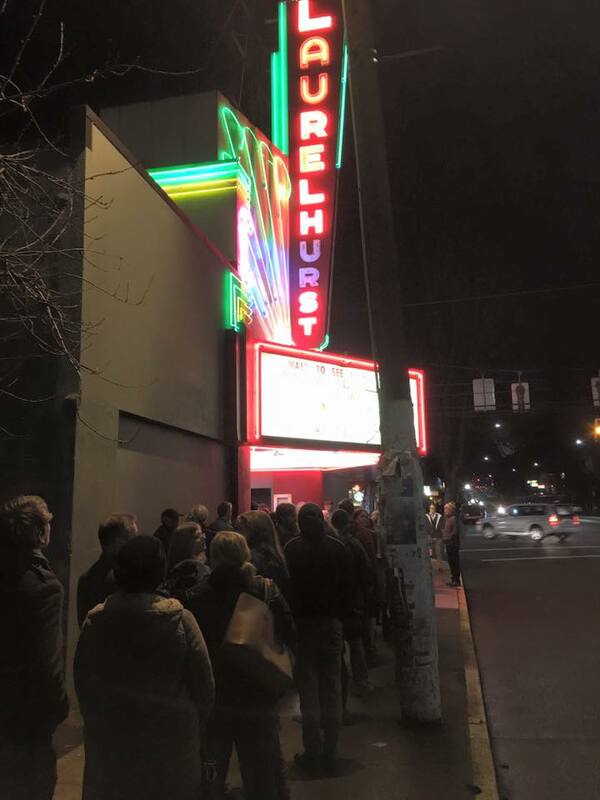 Help keep Portland weird! Wow! What a great event! The Annies were so cool! I got there early so I didn't miss anyone - although, as always, there were some people I missed. 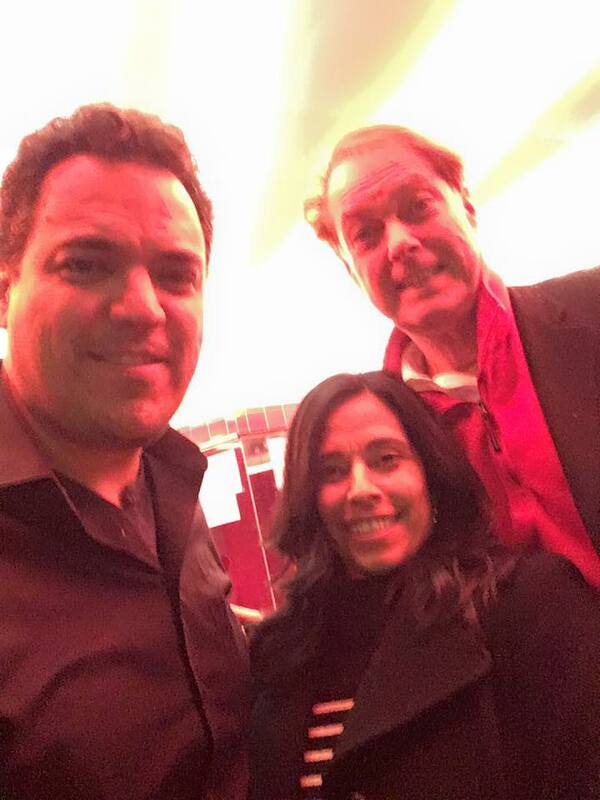 I arrived at the Royce Hall with Khorvash, who was one of my artists and was looking forward to making some industry connections, because she wants to move to L.A. for job opportunities. 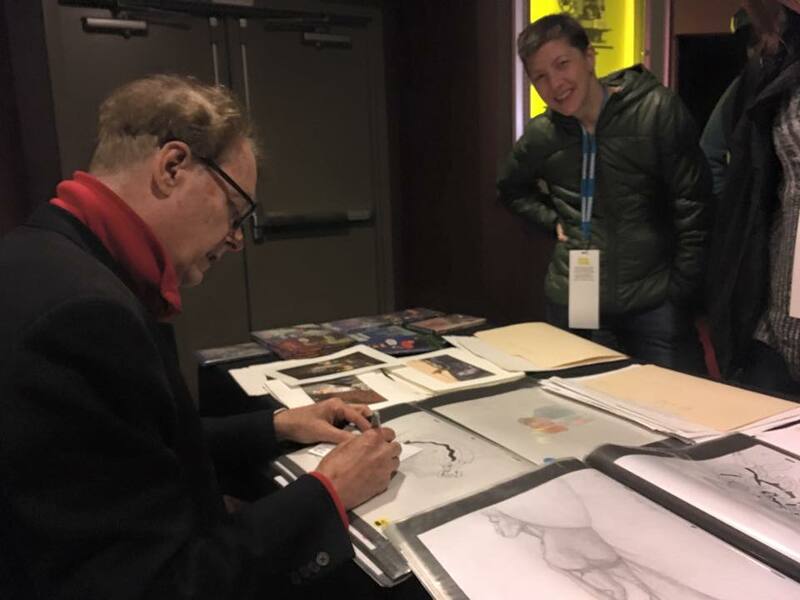 At the opening reception, we talked to Jerry Beck, animation historian and president of ASIFA-Hollywood. He's also hosting animation specials on Turner Classic Movies. We got to chat with Henry Selick of "Nightmare Before Christmas" and "Coraline" fame. We both got our start at MTV - he's working on a new feature film. I also got to say hello to Ron Clements and John Musker of "Little Mermaid" and "Moana" fame - it seems they love stories about girls and water. I chatted with legendary animator Caroline Leaf - when I was just starting out in animation, she was riding high with "The Street" and "Two Sisters". She was there to receive the Winsor McCay Award for lifetime career achievement. I met up with J.J. Sedelmaier, who was the producer of the Ford commercial I directed, "The Importance of Paying Attention: Teeth", which was nominated for the Annie Award for best broadcast commercial. I also saw my old buddy, Ralph Eggleston from Pixar, the creator of the Oscar-winning short "For the Birds". He's now working on Brad Bird's next feature. After a lot of drinks and hors d'oeuvres, we filed into Royce Hall for the presentation of the prizes. One of the surprise presenters was Kobe Bryant, the great Lakers basketball star. He took the stage with another star, Glen Keane, animator par excellence. They were quite good together - they should have their own TV reality show. The awards were fairly predictable - "Piper", the Pixar short, won and also "Zootopia", the billion-dollar box office champ won Best Feature, among other prizes. We then all retired to the buffet dinner to chat and have more drinks. I hung out with my buddies from "The Simpsons", Matt Groening and David Silverman. I also got to chat with my old friend, Michael Dudok de Wit, maker of the Oscar-winning short "Father and Daughter" and the Oscar-nominated feature "The Red Turtle". 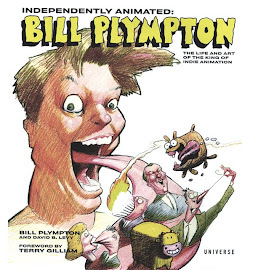 We both started out in the animation business in the mid-80's, and I'm so happy to see his great success using 2-D animation. As the evening wound down, I was also able to talk to Jan Pinkava and Glen Keane about perhaps doing some work for Google, which would be so much fun. Glen had a great success with "Duet" on Google. I know this blog sounds like a lot of animation name-dropping, but all these people I mentioned are my heroes, and coming from New York, I'm very jealous of the great success these people are having. So I'm hoping to learn the path to animation success from them. 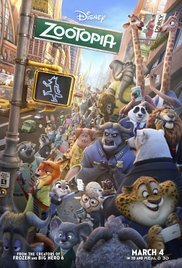 "Zootopia" - A terrific film that should win. 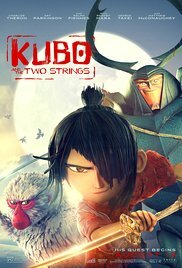 "Kubo and the Two Strings" - a beautifully-made film, directed by Travis Knight, that should have a strong showing. 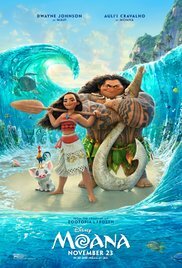 "Moana" - a visual delight, but the story was too traditional for my tastes. 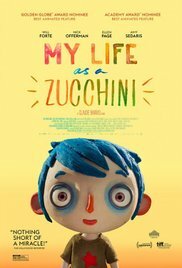 "My Life as a Zucchini" - with very untraditional stop-motion animation, but a heartfelt story. 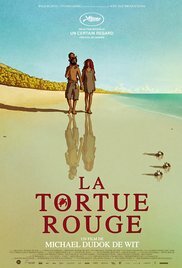 "The Red Turtle" - by Michael Dudok DeWit, another visual masterpiece that proves that 2-D animation can compete with CGI for gorgeous style. I was disappointed that some films didn't make the cut, like "The Little Prince", directed by Mark Osborne, "Phantom Boy", directed by Jean-Loup Felicioli and Alain Gagnol, and my favorite "Sausage Party", directed by Greg Tiernan and Conrad Vernon, and co-written and co-produced by Seth Rogen. But I had no illusions that this would be nominated, still, it's a breakthrough film. 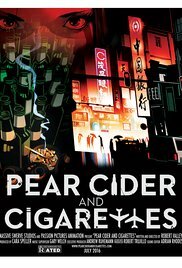 As for the short animated films, I'd put my money on "Pear Cider and Cigarettes", written and directed by Robert Valley. It's a masterpiece! I'll be back next week with a report on my trip to L.A. and the Annie Awards! What's Up? Yesterday I flew out to Hollywood for a week - the main purpose for the trip is to attend the Annie Awards (animation's version of the Oscars) where my short commercial for Ford, produced by J.J. Sedelmaier, is in competition. The commercial is called "The Importance of Paying Attention: Teeth" and warns about the dangers of distracted driving. I love the Annies, because I get to chat with all the hoi polloi in the cartoon business - I often get to meet people this way who I've long admired, and also get real insight into the animation industry - since I'm a real outsider in the business. 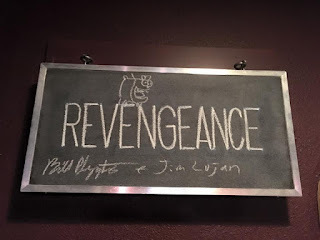 Also, now that "Revengeance" is doing the festival circuit, it's an opportunity to maybe do some deals that could benefit the release of this film. 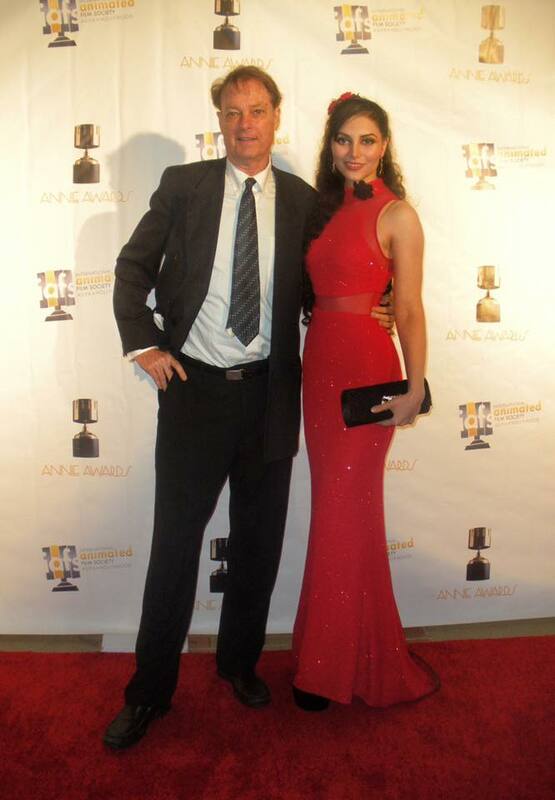 I don't expect to win a prize at the Annies - my Ford commercial is micro-budget compared to the competition. The others look like they have million-dollar budgets. But that's OK, it's fun to just be in the limelight momentarily. Also, while I'm in L.A. I've scheduled some MasterClass presentations at Disney, USC and Dreamworks. I guess they're mystified over how I'm able to survive as an independent animator, outside of L.A. I want to show them some of my new projects - "No Snow For Christmas" (sung by Maureen McElheron), "Cop Dog" (it's almost finished) and of course, the piéce de resistance, a clip from "Revengeance". I'll post some pictures from the trip next week, and later this week I'll weigh in on the Oscar nominations for animated features and shorts. Talk to you then!